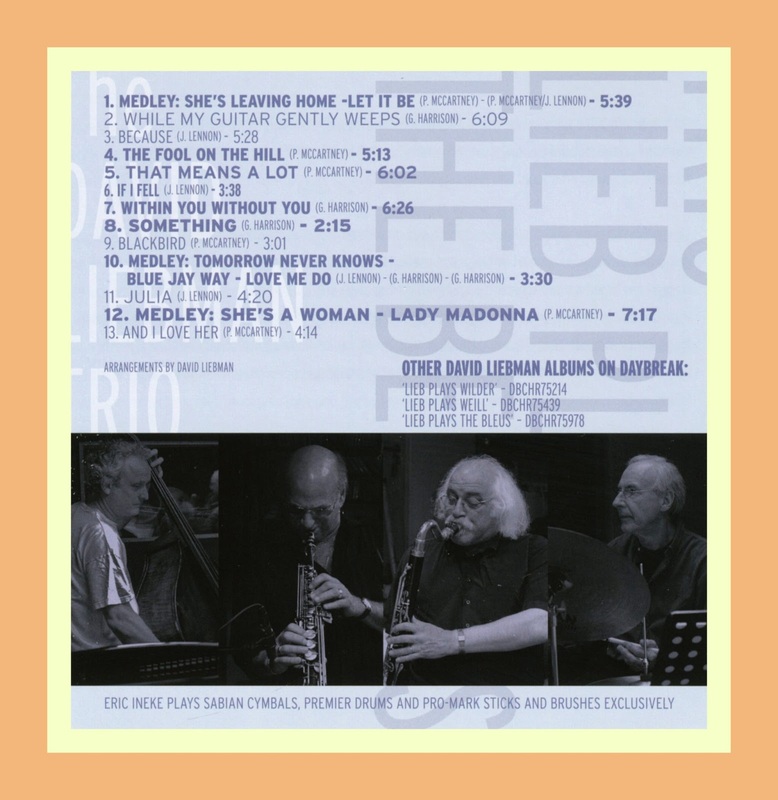 "Liebman is among the most important saxophonists in contemporary music . . . a leader and artist of integrity and independent direction." Too many things have happened in my life so I can go either way with coincidences: I can believe in them or I can disbelieve them and go with everything happens for a reason. So why don’t I lay the sequence of events out for you and let you be the judge? By way of background, I came to the music of saxophonist and flutist David Liebman’s very late in the scheme of things. To give you some perspective on that comment, I’m at the age when my life has more history to it than future. 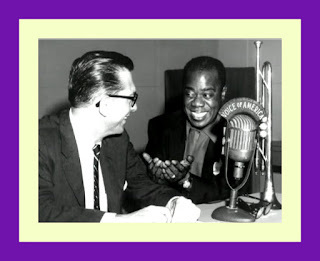 I’m not a Jazz historian so I can’t tell you just when Dave made the scene, but by the time he did I was largely gone from it and into other stuff like building a career and a family. 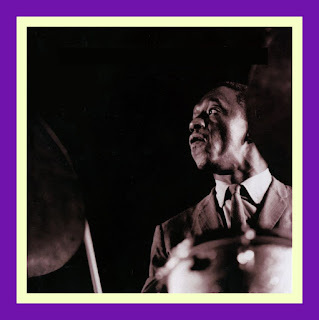 I knew that Dave had a pretty extensive discography because I would hear it occasionally on Jazz radio, but I really had not listened to his music in any sort of concerted way. Thankfully, as is often the case, Michael Cuscuna and his fine team at Mosaic Records gave me the opportunity to catch-up with some of Dave’s stuff with the issuance in 2004 of the 3 CD Mosaic Select Dave Liebman & Richie Beirach [#12]. The music on the Mosaic set is made up of two live dates done at Keystone Korner in San Francisco in 1976 and some later studio dates from Germany and Japan from 1988 and 1991, respectively. “There are, to my mind, several themes, which permeate the three settings heard in this collection. Emotional intensity was definitely a common shared trait between Richie and myself. We communicated very directly both socially and musically. This was very clear to even the casual listener [emphasis, mine]. Stylistically, we were products of the 1960s generation, when a listening/hanging session could easily cover Bartok, Hendrix, Coltrane and Ravi Shankar for example. Eclecticism was the trademark of our generation. We and others from our period pursued this aesthetic with a vengeance, more so than previous jazz generations. On the more subtle musical level, Richie and I constantly "chased" each other around harmonically; myself sounding notes outside the stated harmony while Richie colored or instigated supportive chords. We had first heard this used extensively with Coltrane and McCoy Tyner as well as Miles and Wayne Shorter with Herbie Hancock. This interaction constituted a major part of our musical discussions, whether in duo or in a quartet setting. Richie is a master at unifying a rhythm section into a unit to offset the soloist. 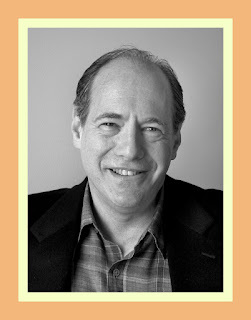 He was the perfect straw boss/helmsman, focusing Billy and Ron's energies towards maximizing their potential as both a support system as well as a source for new ideas and fresh energy. I never had to think about what was happening behind me. 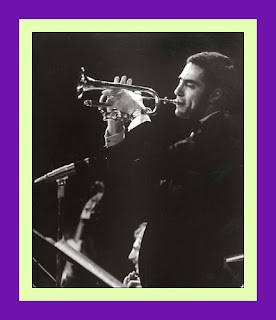 I trusted Richie's judgment and it enabled me to be able to employ one of the most important aspects I learned playing with Miles Davis, which was the use of space to dramatize a musical statement. It doesn't get better than that for a horn player! !” [emphasis, mine]. Emotional Intensity and Space are key concepts that come to mind while listening to Dave Liebman’s music. 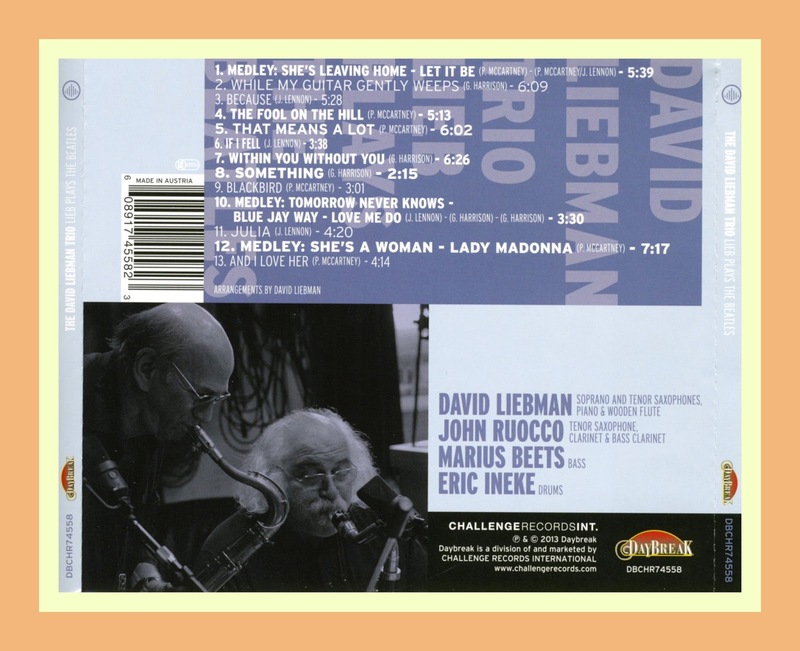 When I listen to Dave Liebman’s music, I am immediately imbued with a sense of emotional intensity but one that is confined in terms of space and characterized by a feeling of solitariness. Dave can be a very busy player. Usually a lot of notes springing forth from a complex harmonic conception such as Dave’s can result in a sense of emotional intensity, but it does not generally evoke space and solitariness. 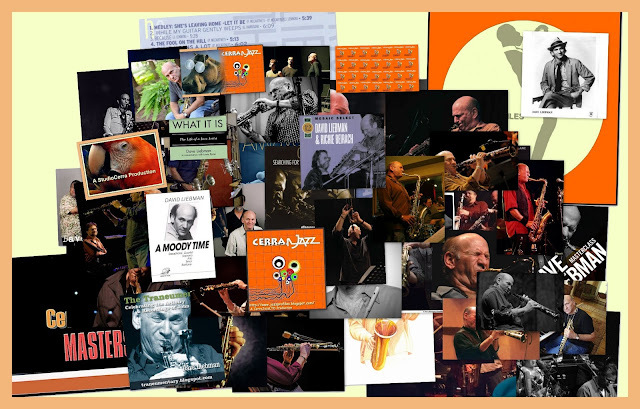 So here I am, recently listening again to the Mosaic Liebman/Beirach 3-CD set and trying to sort through all of my newfound impressions of Dave Liebman for a blog feature I was developing when I get a note from drummer Eric Ineke asking me if I would be interested in listening to a copy of … wait for it… THE DAVID LIEBMAN TRIO: LIEB PLAYS THE BEATLES WITH SPECIAL GUEST JOHN RUOCCO [Daybreak DBCHR 74558]. 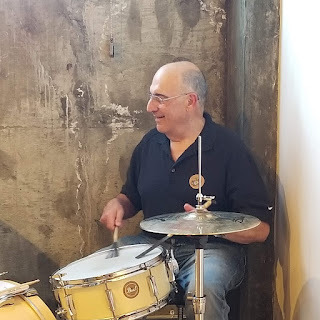 Of course, having done a previous blog review of The Ultimate Sideman: Jazz Master Drummer Eric Ineke Talks About Artists He Has Played with Since 1968 in Conversation with Dave Liebman, I knew that Eric and Dave were friends. But I had never heard them play together. I also have never been a fan of The Beatles, but I have a high regard for both Eric and Dave’s musical integrity so I thought the new CD was worth a listen. And it is that and much more than that – it is a recording full of pleasant surprises. Seventeen  Beatles tunes, most of which I will admit to never having even heard before, arranged singly or in medley, played to the highest musical standards. 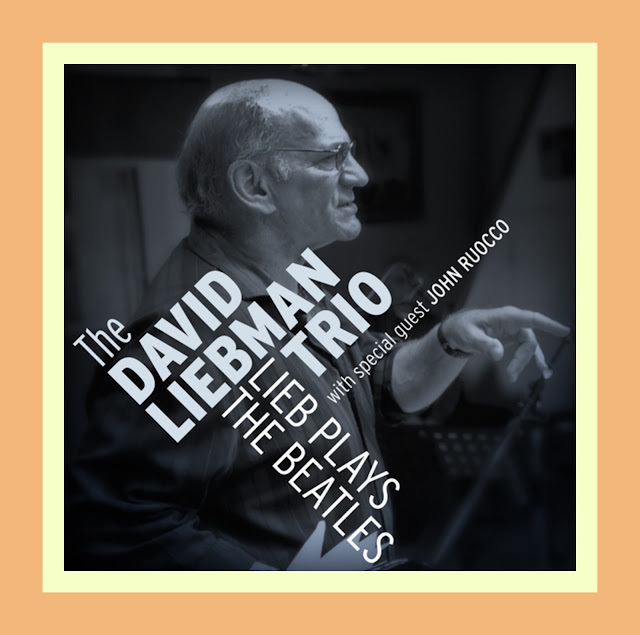 So not only am I now awash in more of Dave Liebman’s music, Dave’s got me listening to the Beatles, too, and enjoying it. Emotional Intensity - Space – Solitariness are all very much present in Dave’s interpretations of the Beatles music but the over-riding impression that the music on the CD created in me was a reconnection with three classic performances at the Village Vanguard by tenor saxophonists Sonny Rollins, Joe Henderson and Joe Lovano, respectively. 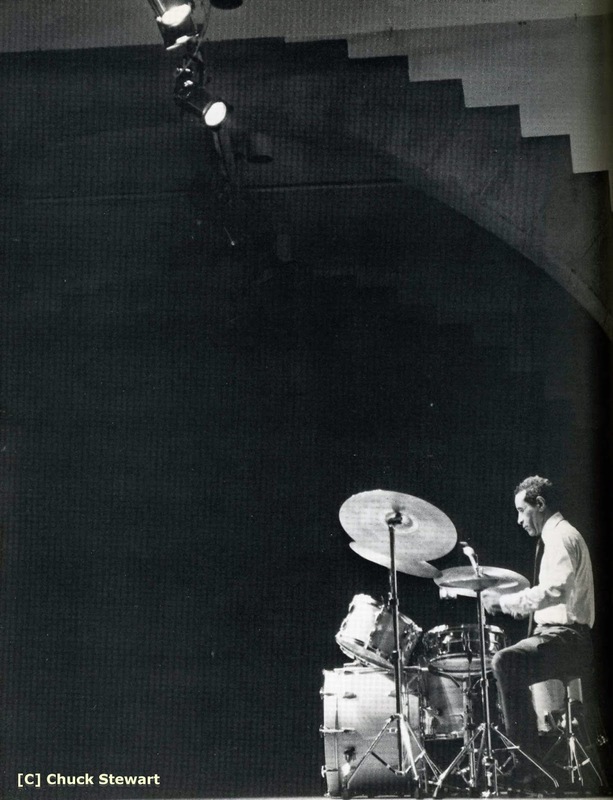 Sonny with bassist Wilbur Ware and drummer Elvin Jones started off the live-sax-with-rhythm-section tradition in 1957 with A Night at The Vanguard, Joe Henderson followed with a1985 date at the legendary NYC Jazz club with bassist Ron Carter and drummer Al Foster and Joe Lovano’s stint took place ten years later in 1995 with Christian McBride on bass and Lewis Nash on drums. The bass lines can be heard clearly and pulsate like a heart beat, the clicking sound of the ride cymbal with its shimmering rivets creates waves of harmonic overtones while the tenor saxophone – the instrument with a sonority that is closest to the human voice – sings out, uninterruptedly with a clarity akin to that of an operatic diva. There’s no place to go; no place to hide in the music. Each player is a solitary sound in a clearly defined space and the emotional intensity generated by such a setting is like nothing you ever heard before. These initial impressions are in no way intended to diminish the importance of John Ruocco to the music on LIEB PLAYS THE BEATLES. If anything, John’s presence on tenor saxophone, clarinet and bass clarinet as the “other voice” on some of the tracks just adds to the music’s intimacy. He is a sensitive and understated player who contributes greatly to the overall texture of the music. In arranging the music for this album, David has pared down things to allow for the space necessary for deeper things to develop in the music. His solos are explorations into the architectural possibilities of the music: at times cantilevered with phrases that trail off and hang in the air while he ducks back under them, grabs them and takes them in a new direction. Other times, he seems to horizontally box ideas together with a languid flow of melodic inspiration and a full-bodied sound that brings to mind that ballad styling of tenor saxophonists Dexter Gordon and Sonny Rollins. However, Lieb shapes the space, it is always full of emotional intensity; he really puts himself into the music. You can’t wait to hear the next track and where this musical adventure will lead. Adding immensely to the structure and shape of the music on are bassist Marius Beets [pronounced “Bates”] and drummer Eric Ineke [the “e” at the end of Eric’s family name is pronounced with a hard sound – “ah”]. Marius and Eric have evolved into one of the best straight-ahead Jazz rhythmic sections in all of Jazz and both bring fire and finesse to the music. Eric and Marius together form what bassist Chuck Israel has described as “a marriage between the bass line and the cymbal beat.” Whatever the tempo, they just lock in beautifully and create a vibrant and buoyant feel to the time. Eric doesn’t overplay, stays out of the way when that’s call for in the music, and boots things along when necessary. LIEB PLAYS THE BEATLES is a brilliantly conceived and expertly played recording. It’s so nice to know that Jazz of this caliber is still being created today. Our thanks to Eric for hipping us to it. More about the music and how Dave approached it are contained in the following insert notes to the CD which he wrote [I have modified the paragraphing]. They are also available on Lieb’s website along with order information for the new LIEB PLAYS THE BEATLES which you can locate at www.daveliebman.com. 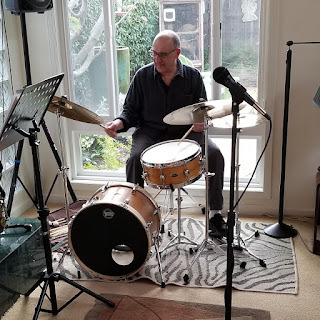 “After doing several recordings over the past few years with this trio playing what I call "repertoire" material, (something I have done numerous times over the decades), I want to take the opportunity to explain the process which is quite different than when I record my original compositions. "Repertoire" for me represents what the body of music commonly referred to as "standards" in two categories: songs written for Broadway, Hollywood or other popular formats (rock, opera, etc. 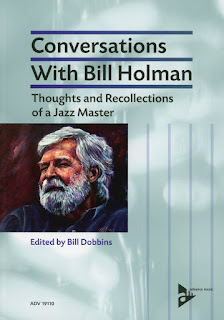 ), as well as compositions by jazz musicians that have become part of the canon. Previous projects of mine have ranged from Puccini to Jobim, Monk to Wilder, Kurt Weill to Cole Porter, West Side Story and of course Miles, Coltrane and Ornette Coleman. Arranging the given material is the primary challenge which technically may include musical devices such as re-harmonizing, inserting vamps, changing the forms and in some cases altering parts of the melody. On some of the projects I have done minimal re-arranging, sticking close to the original; the Monk, Wilder and Weill projects are good examples of this more "hands off" approach. Beyond what I discover about my personal aesthetic doing this kind of work, there is the information that reveals itself when one delves into the music of great artists, discovering how they thought and worked out their material. I always learn something, from Puccini's soaring melodic lines to Jobim's exquisite balance between harmony and melody, to Monk's economic use of space and so forth. Another benefit of rearranging known material is that it relieves the onus of writing original tunes for at least a period of time. One works with a known quantity from the start, most likely the melody and harmony primarily. Also, as far as potential listeners are concerned, there is at least a bit of the recognition factor possible, depending on how far away from the original I go. Finally, there is the fact that for the most part these tunes have stood the test of time. My process for such projects follows a similar pattern. I go through song books by the composer playing the music at the piano, searching for something in the melody or/and harmony that seems interesting and will open a line of exploration. A potential pile develops which gets whittled down and leads eventually to small musical changes written directly on the lead sheets (all hand written by the way...no computer). Soon after I write a fresh lead sheet which becomes the first draft. Over the next months I go to the piano and check these tunes over and over, sometimes altering them drastically, arriving at an arrangement and appropriate rhythmic feel, all depending upon the instrumentation and personnel that will record with me. For my latest excursion I have chosen the Beatles' music which has a biographical tie in as they were a significant part of the back drop of my generation's story in the 1960's, both musically and socially for what they represented at the time. Elvis Presley symbolized a break from the rigid conformity of the 1950's while the Beatles personified rebellion and change for our generation, definitely in America, if only because of their hair style at the time (hard to believe in the present!) More specifically it was their lyrics which evolved as they personally and musically matured from "I Want To Hold Your Hand" to "Fool on the Hill," etc., that spoke to us. The message was at times cute, philosophical, whimsical, even spiritual, just all over the map as we all were at that time. Their melodies, though not as deep as other notable composers I have dealt with, did handily support the lyrics. As stand alone chords, the harmonies were very basic and quasi church-like (but hardly blues based) while the rhythm was quite basic. Interestingly, George Harrison's tunes, much less in the overall count than the Lennon/McCartney combination shine for their ingenuity, emotional and lyrical depth. The bottom line was that the Beatles' music was of a whole and stylistically consistent. Even physically on the page, much like Monk or Ornette tunes, they all look more or less the same, most of the time no more than two pages with an A section, a bridge and a coda. Certainly they were incredibly prolific, writing and recording hundreds of tunes in less than a ten year period. They chronicled both their lives and those of my generation, embodying the changes and social upheavals of the times. There was no going back to the stultifying popular music of the 1950s, (some early rock not withstanding). The following video draws upon Lieb’s, Maruis’s and Eric’s rendering of The Beatles While My Guitar Gently Weeps to set the perfect sax-bass-drums-at-the-Village-Vanguard tone with which to close this blog feature. Would that it were that the Jazz Gods could get Dave up from East Stroudsburg, PA and Marius and Eric over from Holland to play a trio engagement at The Village Vanguard in New York City. Now if I could just get Lorraine Gordon [owns the Vanguard] to return my calls.